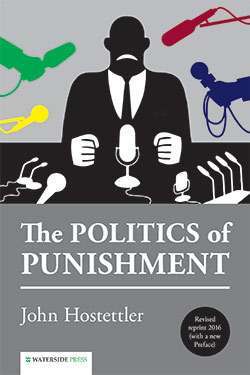 This re-issue with a new Preface of a classic work by John Hostettler looks at the political and other social dynamics behind law, order and punishment. A timeless work by one of the UKs leading commentators and now with pointers to key developments in penal politics of the last 20 years. This first paperback version contains a wide-ranging analysis of the topic from Anglo-Saxon times to the present day, including: the impact on punishments of power struggles, wealth, superstition, class distinctions, populist ideas, the centrality for many years of the death penalty, modern-day ideas of rehabilitation but above all the underlying threads of social control, law and order and political signals about crime. A classic work and a collectors item which looks at the genesis and purposes of punishment. Shows how punishment, power differences, social control and (sometimes suspect) economics and politics have always been intertwined. A must for practitioners and students in this field. reveals in all its starkness the close connexion between the inhumanities of punishment and the political interests of the StateJustice of the Peace. A colourful entertainmentCriminal Behaviour and Mental Health. Takes us on a breathless tour dhorizon of the history of judicial punishment, a thousand years in a hundred pages, before slowing down to examine more closely the reforms of the nineteenth and twentieth centuriesThe Magistrate. 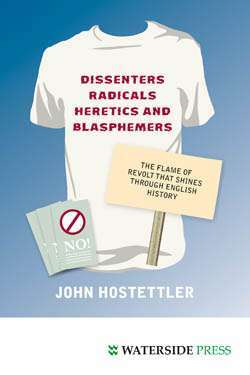 John Hostettler has written various legal and historical works. He was a solicitor for 35 years including re political and civil liberties cases. 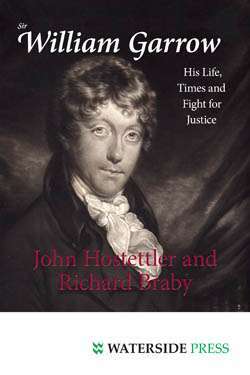 His other books include: Dissenters, Radicals and Blasphemers: The Flame of Revolt that Shines Through English History (2012); Champions of the Rule of Law (2011); Sir William Garrow: His Life Times and Fight for Justice (2010) (with Richard Braby) and Twenty Famous Lawyers (2013). First published by Barry Rose in 1994. Alternative format ISBNs: PDF ebook ISBN 9781910979112. EPUB / Kindle ebook ISBN 9781910979105.